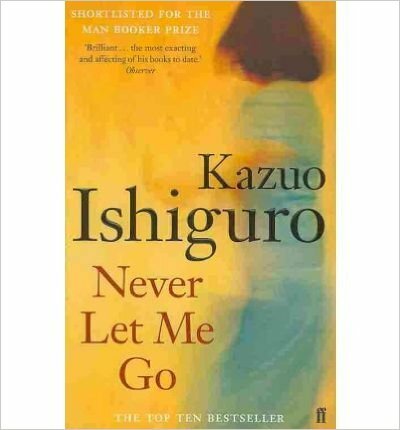 Never Let Me Go, by Kazuo Ishiguro, Reviewed. Discovered in the small hotel library whilst holidaying on the Greek island of Thassos, this book was one I’d always intended to read. I’m glad I did. It’s an imaginative, moving and subtly horrifying romance about organ donation based on the use of clones. Told in 1st person by Kath H, it begins by recounting the way she was brought up in an institution designed for that job. Only over time does she, and we as reader, learn that her purpose is to provide replacement organs for ‘real’ people’. The underlying ethics/morals of this type of organ farming come through with extraordinary clarity. But this is a book about more than this simple issue: it is about injustice and prejudice and inequality. Characters are richly drawn and relationships exquisitely imagined. The utter inhumanity of the system, set up for the best of motives initially, contrasts starkly with the deep humanity of the ‘students’ who are raised as both donors and as carers for those undergoing the donation process. It gives a terrifying picture of a future that is, thankfully, no longer likely due to improvements in genetic engineering and DNA modification. It remains, nevertheless, an absorbing and engaging tale dealing with themes beyond that of its initial premise. Definitely recommended. The Prey, by Andrew Fukuda, Reviewed. Sapiens, by Yuval Noah Harari, Reviewed. And yet, Planned Parenthood in the US was just found to be harvesting fetal organs for sale by manipulating their abortions so they don’t damage them, It seems we have a horrifying present. Ethics and business, it seems, rarely go hand in hand, at least as long as the only motive is profit.